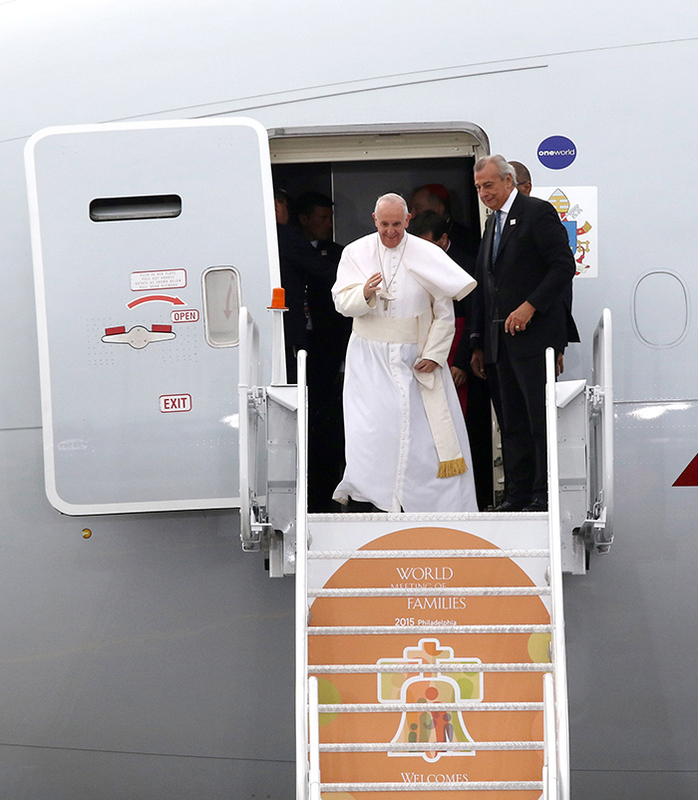 Pope Francis Airport Arrival in Philadelphia. Photo by Kevin Cook. 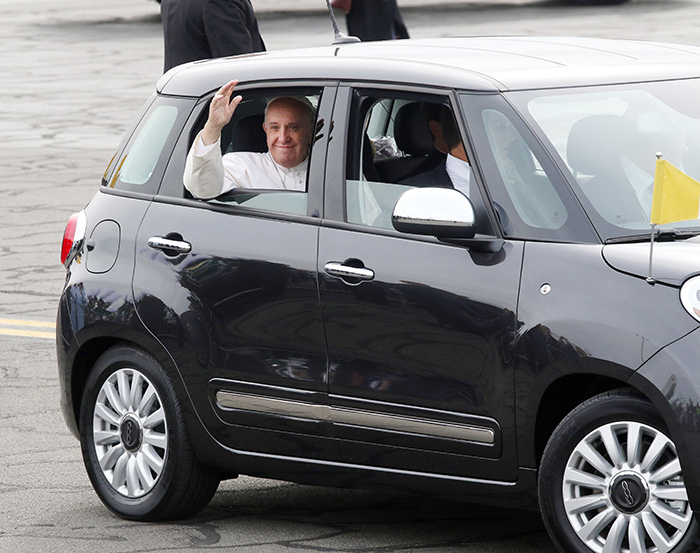 Pope Francis departs Philadelphia International Airport in a simple Fiat sedan. 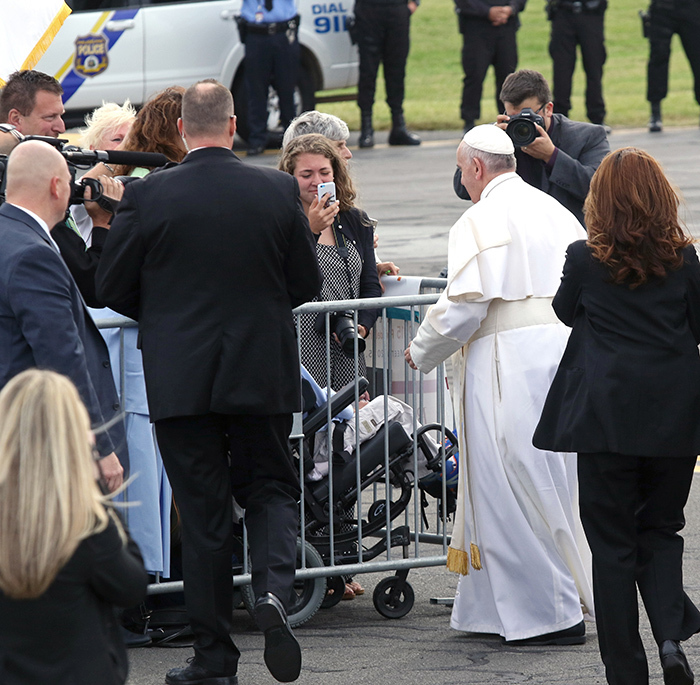 Philadelphia families greet the pope at the airport. 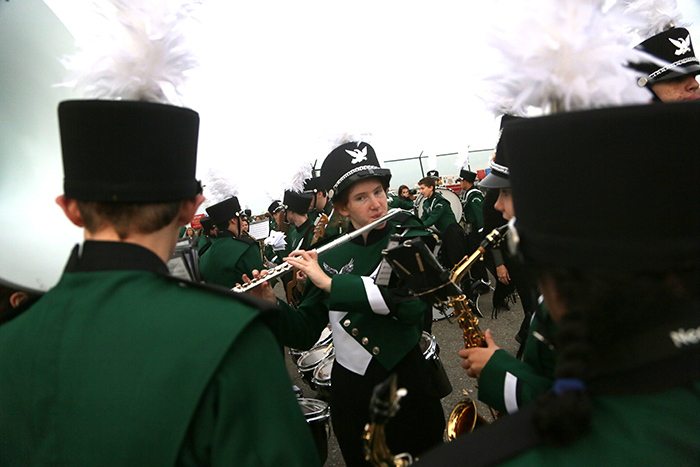 The Bishop Shanahan Marching Band warms up before the pope’s arrival.